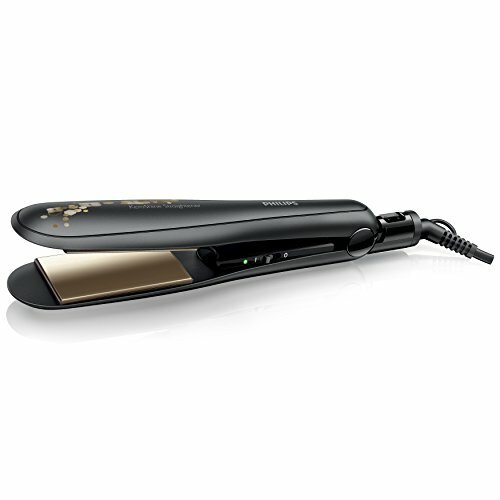 Simply brush hair, and this straightener delivers gentle, even heat around each strand. 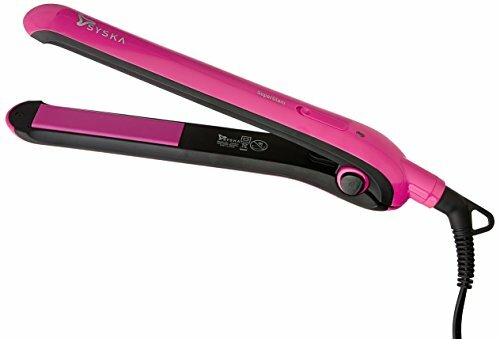 No more flattening or frying your tresses. 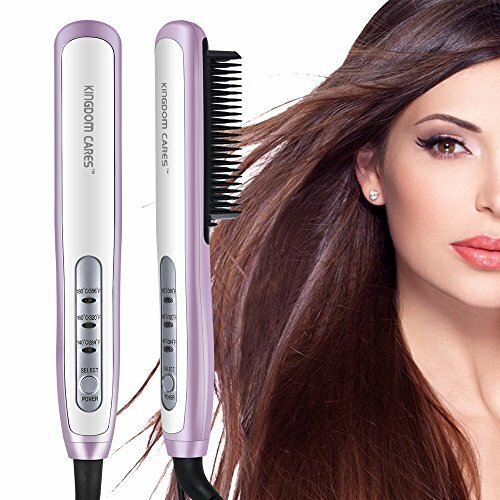 No matter how unruly your curls, the ceramic coating gives you silky straight hair that's easy to style. 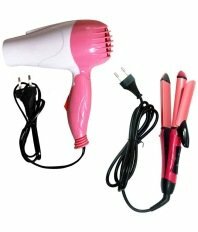 2 in 1 The perfect hair styling accessory - this hair styler will make you look like a diva in minutes. 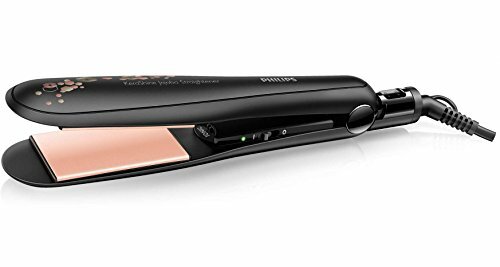 With this hair styler you can get straight, sleek and fine hair or wavy, glossy and bouncy hair. 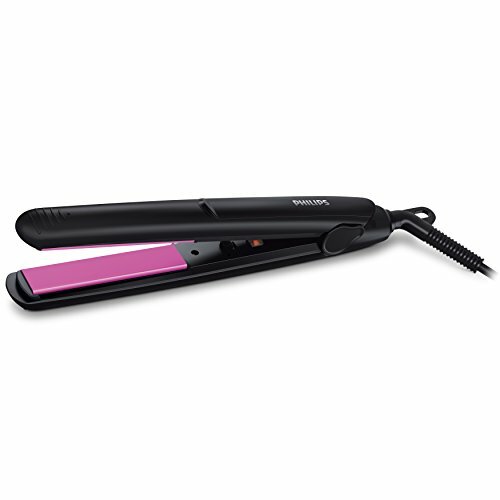 Easy to Use Ergonomically designed, this advanced hair straightener is extremely easy to us. 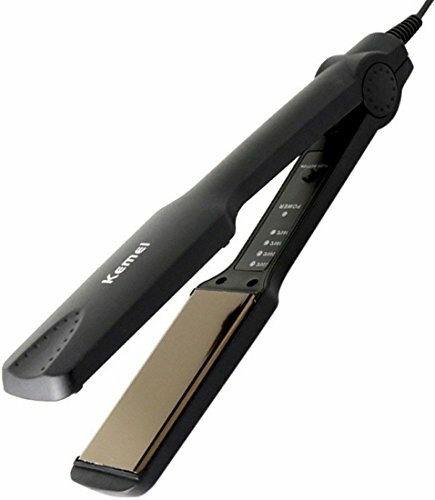 All you have to do is glide your hair through the teflon ceramic coated plates. 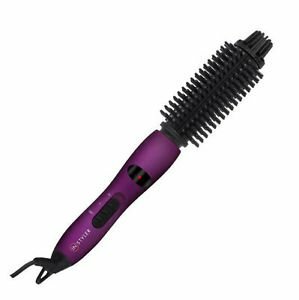 Its 360-degree rotating cord ensures that each and every strand of your hair is styled. Good quality product and properly checked before despatch. Tired of pulling off the same hairstyle all the time? Want a temporary change? 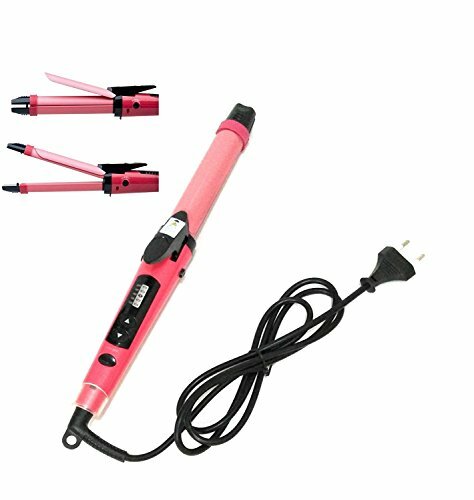 Then bring home this 2 in 1 hair styler. 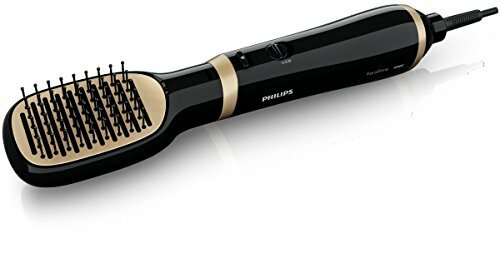 With this hair styler, going wavy to straight or straight to wavy is no big deal. 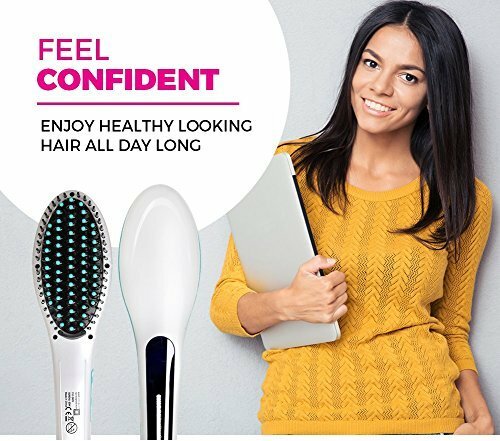 So flaunt your beautiful and polished hair and create a bold fashion statement. 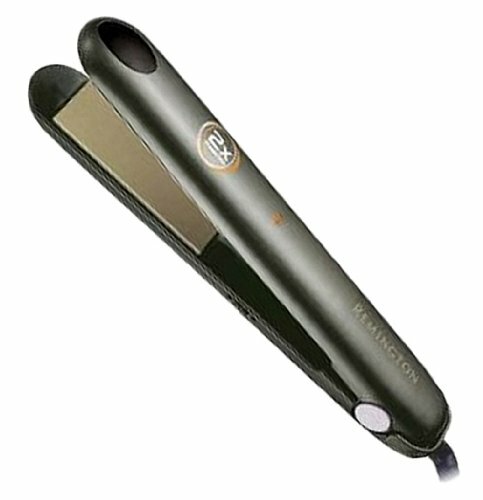 Surprise your friends with your makeover and look stunningly attractive with smooth, glossy hair. 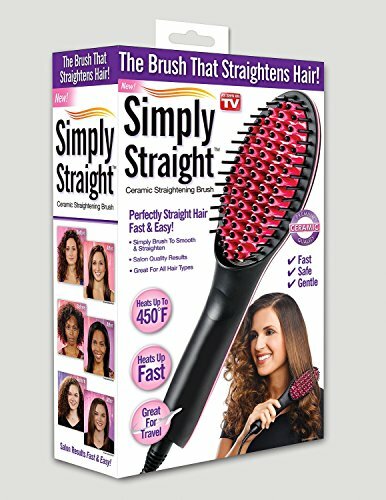 Good quality product and properly checked before diired of pulling off the same hairstyle all the time? Want a temporary change? 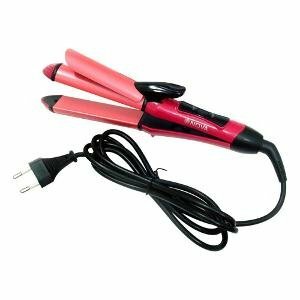 Then bring home this 2 in 1 hair styler. 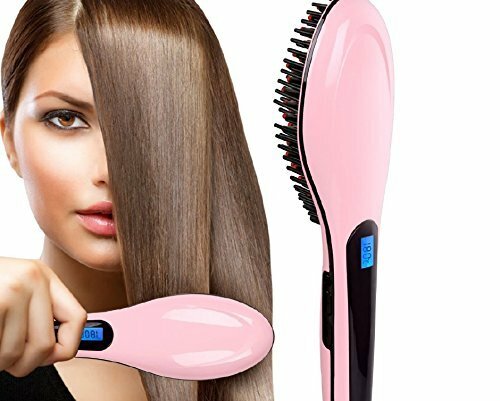 With this hair styler, going wavy to straight or straight to wavy is no big deal. 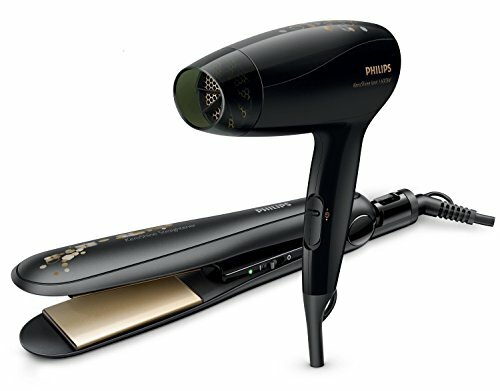 So flaunt your beautiful and polished hair and create a bold fashion statement. 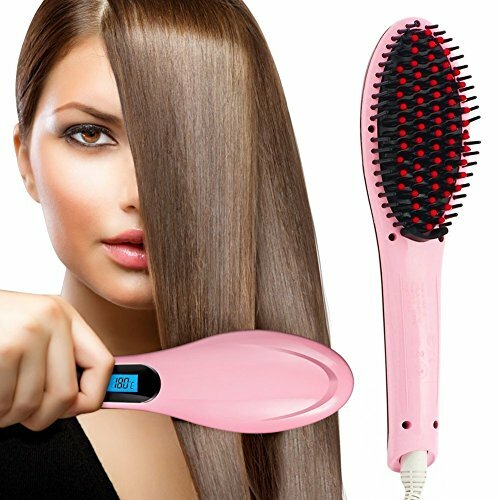 Surprise your friends with your makeover and look stunningly attractive with smooth, glossy hair.spatch. 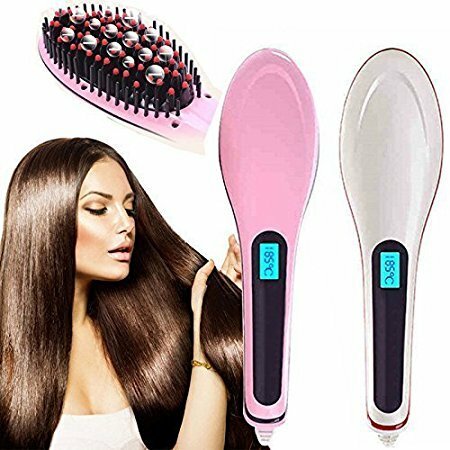 Digital Hair Straightener Is A Adventruous Combination For Hair Straightener And Combs.You Can Get Your Hair In Style While Combing Your Hair. Safety Design: Hair Straightener designed with teeth and precise temperature control to guarantee anti-scald and warm contact massage. 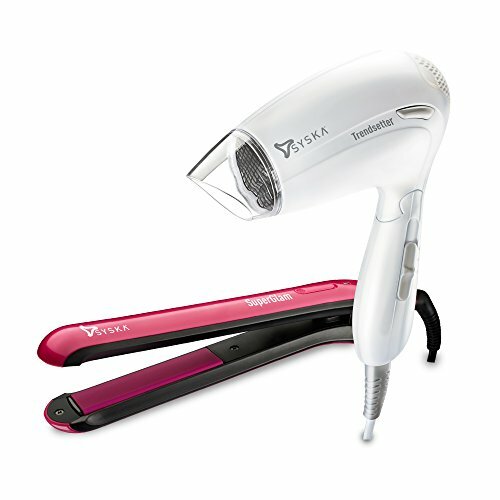 Built-in automatic constant temperature and fast heating technologies, 1 minute heat up to 365? 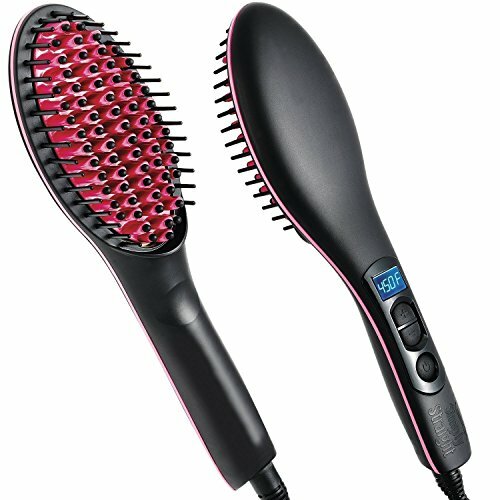 Straight Ceramic Brush quickly heats up to 450 degrees. 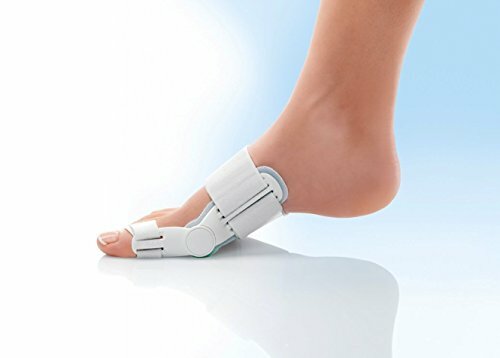 Dynamic day and night comfort splint. 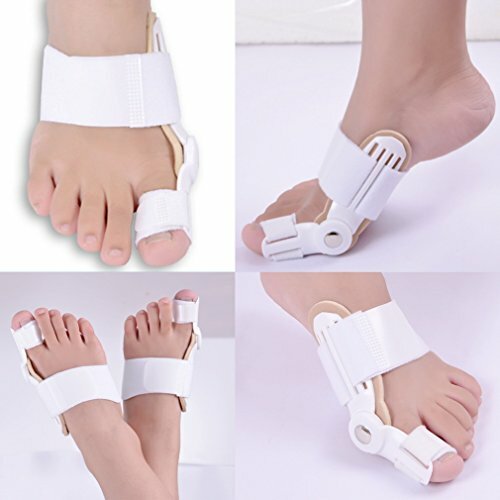 Easily put on, and can be worn either left or right foot. Non Returnable. Contains single price for one leg. 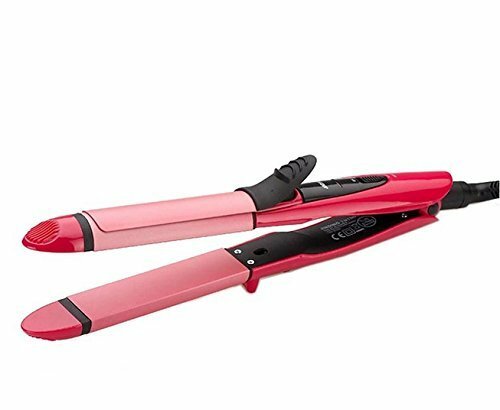 The Hair Iron features a duo design, so you can have both hair styles in just one heating tool Silky-straight hair and a curling iron to create bouncy curls. Original Product Imported Directly from USA / All-in Price (India Customs + Free Shipping) / Track Your Package All the Way from US to Your Home, Buy with Full Confidence. 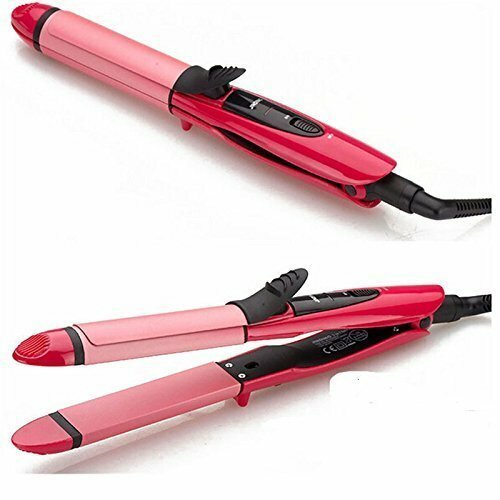 1.Extremely Fast and Easy Hair Straightener, Straighten Your Hair with Healthy Steam and Ion Function Straight and curling styling hair brush straightener, a combination of ceramic iron straightener + detangling brush + anion hair massager. Reaching an ideal hairstyle in seconds, health care massage can be provided for your hair follicle of scalp. 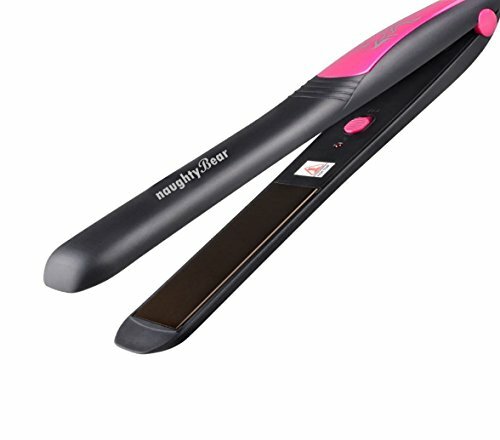 Smooth and durable Nano hair straightener plates straighten hair without worry of added damage, provide you silky and shiny hair condition. 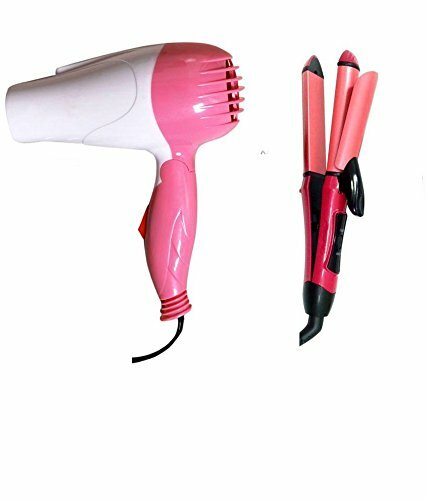 2.Anti Scald, Anti Static and Auto Shut-off Protection Safety auto switch off design, free worry from burning fingers, hands or scalp. 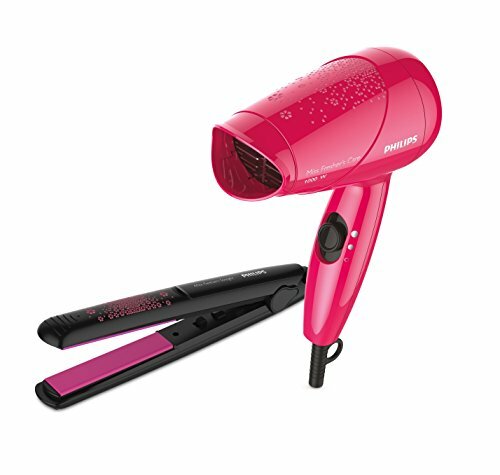 It produces anion which can remove hair static. 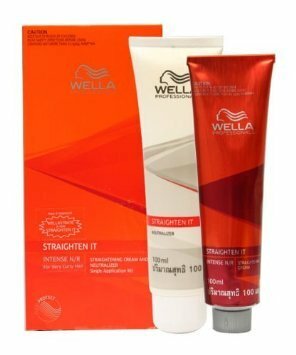 The anion can combine with air to produce moisture and help moisturize hair and prevent hair dryness. 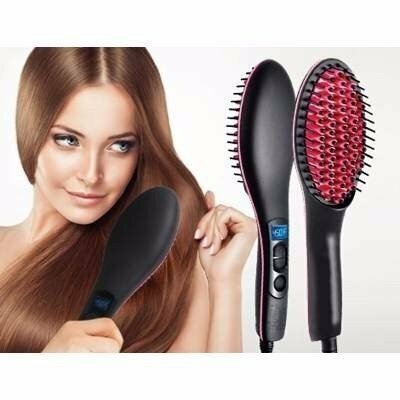 Anti frizz iron brush potent mass of negative ions and deliver healthier, shinier hairstyle. 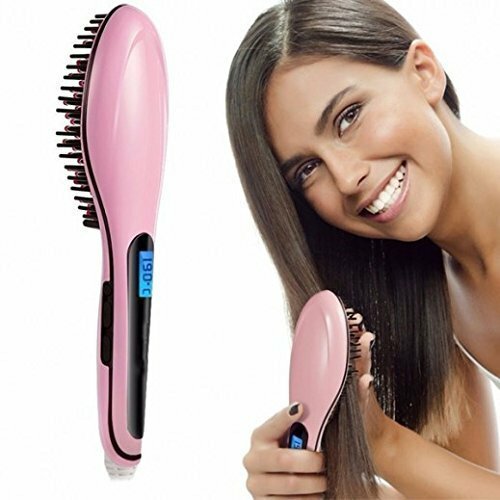 Anti-scald anti static anion hair care straightening, easily solve hair knotting, reduce hair broken, repair hair harm. 4. 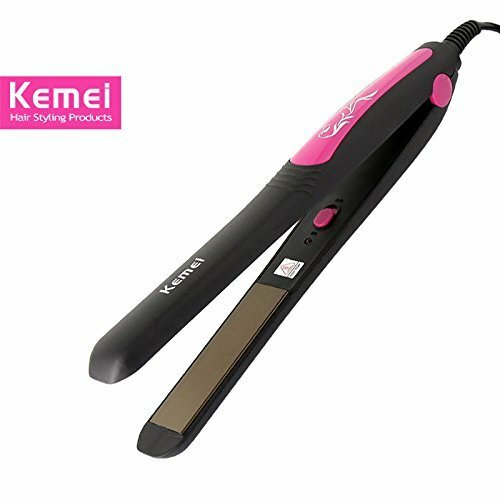 Instantly and Evenly Heating Digital Anti Static Ceramic Hair Curler and Hair Straightener It takes advanced PTC Ceramic heating technology. 3D Floating plates comb teeth with PTC heater monitor can fast heat up in 30s. 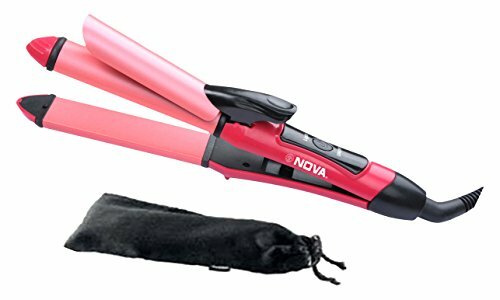 Worldwide use 110V-120V dual voltage compatible, plus heat-resistant bag for safe storage and easy carrying when you travel. 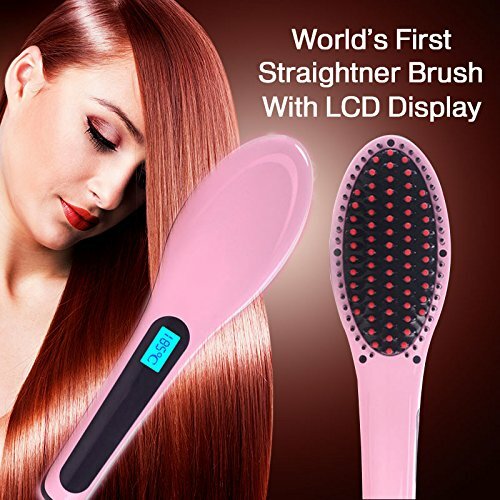 Digital LED display screen, quite easy to read and setting the temperature, legible for you to adjust the settings according to your hair condition. 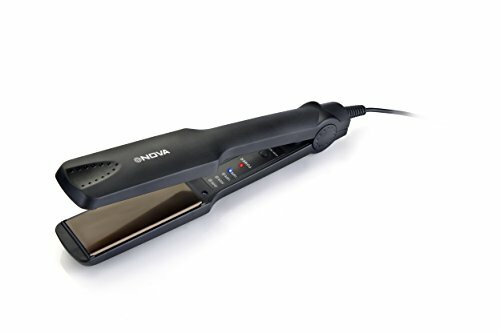 3.Adjustable Temperature Setting for Efficient Straightening Styling Easy to use with 360 degree rotatable wire, tangle free swivel to avoid the wire twining, 1.8m salon length power cord for your easy operation. 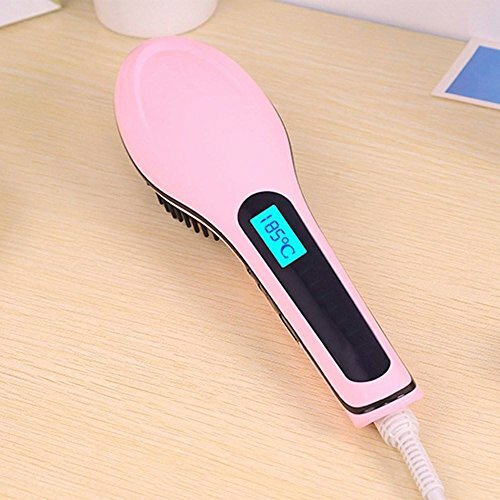 Digital LED display temperature control switch with 3 levels temperature settings 284℉(140℃)-356℉(180℃) for long-lasting waves curls and hair straight for all types of hair. 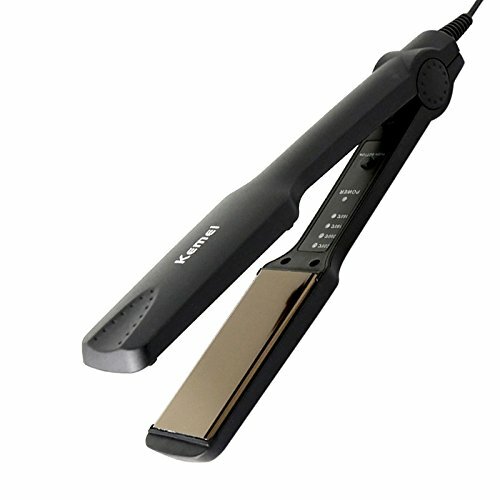 Get professional hair-styling with one easy comb, save time at salon, take away all of hair frizz. 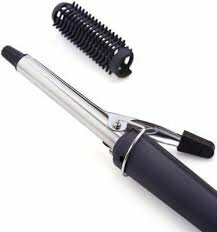 Hold curl in place for approximately 20 seconds for light curls or just waves. To release curl wind about half a turn, push down on clamp, release lever. Gently withdraw barrel from the centre of the curl. When all curls have completely cooled your hair is now ready to be styled. 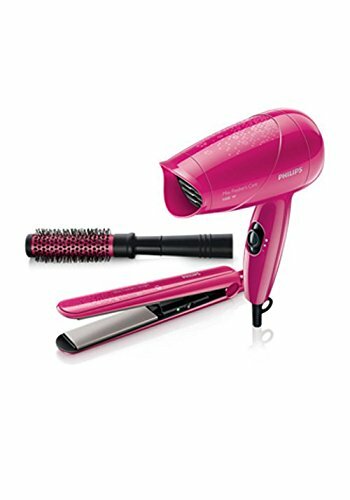 Ensure that your hair is fully dry before using it. 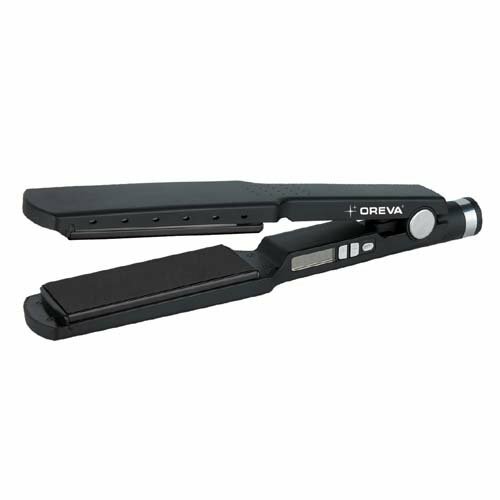 Unlike flat irons with various types of plates (for dry or wet hair) this one is only applicable with dry hair. 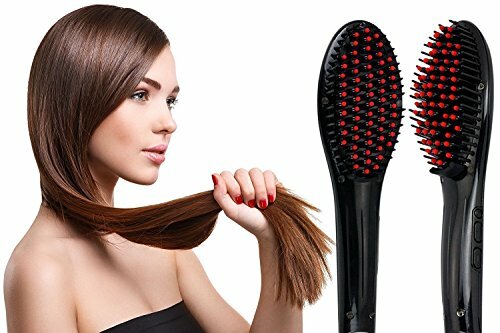 Comb your hair first before using this product. It is not designed to untangle unruly locks. If you use it to comb your hair, the heat will sort of "permanently" keep the shape of your tangled hair. Do not immediately set the temperature on high. 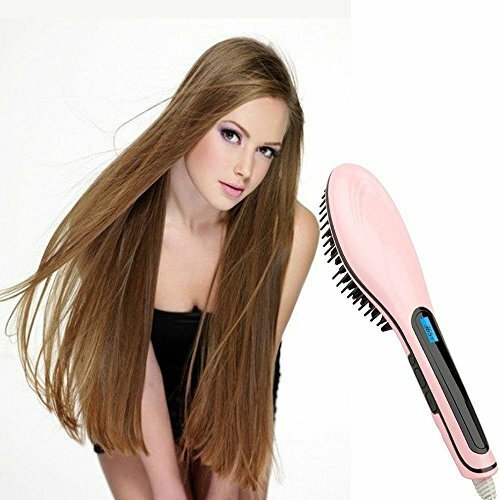 Gradually increase it to prevent your hair from being "cooked." Do not leave the brush turned on for a long time. 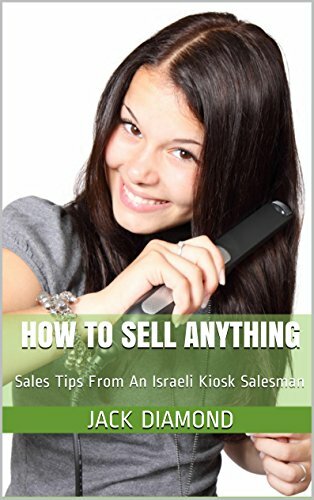 It doesn't have a safety feature where it automatically shuts down when it reached a certain temperature. 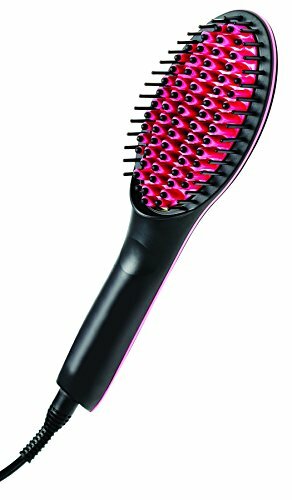 Ensure to cool down the brush before storing.